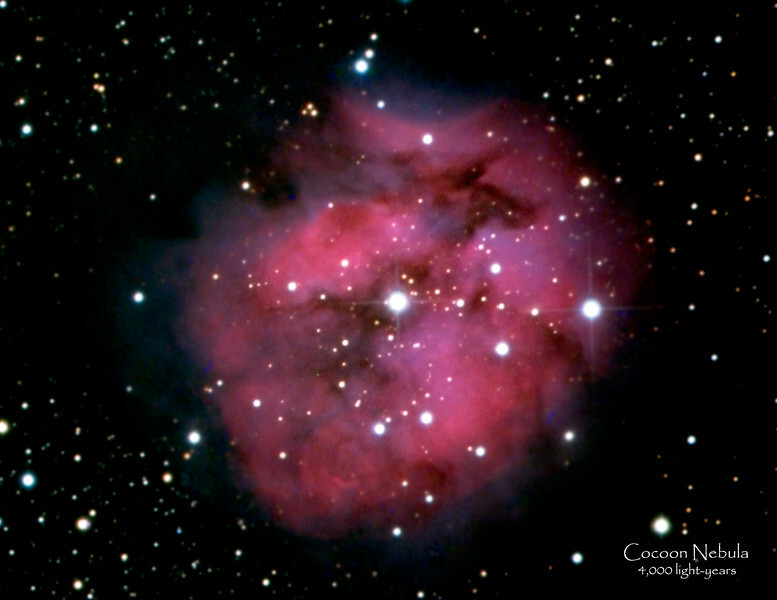 Cocoon Nebula (or IC 5146 or Caldwell 19) - 4,000 light years away and about 15 ly across. Its center star was formed around 100,000 years ago. It is a reflection/emission nebula in Cynus.